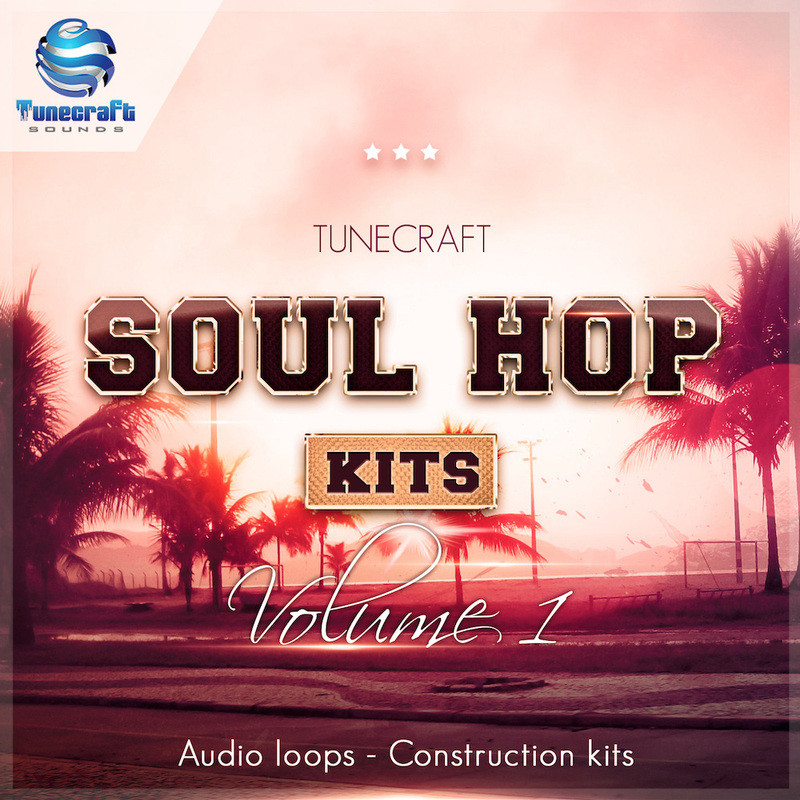 If you’re into Hip Hop, Soulful, Funk or Chillhop influenced music this one’s for you: From dusty piano riffs, vintage sounding strings, relaxed groovy beats, real swingy basslines, old school vinyl rips and crackling sounds, Tunecraft Soul Hop Kits brings you a primed collection of classic, vibey sounds with a modern twist ! All loops and recordings have been processed through state-of-the-art gears and high end plugins to reveal their natural warmth and bring back the unique feel of old tape machines and most reknowned samplers. Also included are 33 selected drum hits to let you create your own beats and the groove you need on your track. For those that always want more, we even included some midi clips to allow you changing melodies, harmonies and tempos easily by using your own synths and instruments. All loops are key and tempo labelled ranging from 90 to 100bpm, and each kit is broken into sections to allow multiple arrangement possibilities. We finally made sure pack content is perfectly organized with loops sorted by kits and by types to make these inspirational materials very easy and convenient to use in your sessions.